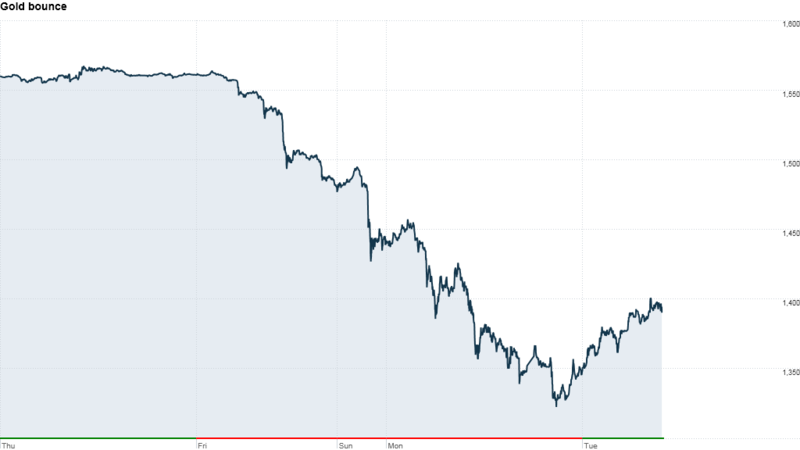 Gold prices staged a modest recovery Tuesday in the wake of a massive one-day sell-off that saw the precious metal hit its lowest level in over two years. Gold for June delivery, the most active futures contract, closed at $1,387.40 per ounce on Tuesday. That's up $26.30 from the Monday closing price. Other commodities, such as silver and copper, also nudged higher, while oil regained some poise after Monday's global tumble. Gold prices hit a record high in 2011 as investors sought protection against economic turmoil and market uncertainty, but the metal has lost much of its allure since then as stock markets rallied and risks to global growth receded. "Remember, the final days of a correction are the steepest and scariest. It appears that we are in this stage for most materials," said Scott Colyer, head of investments at Advisors Asset Management. "Our view is that global monetary easing plus [a] likely return to growth in the developing and emerging markets should conclude this move in basic materials to be just a correction." Weaker than expected first-quarter growth in China was one factor behind Monday's commodities slump, but some investors, including BlackRock fund manager Richard Davis, said China would continue to drive healthy demand for industrial commodities such as copper. Gold for June delivery lost more than $140 an ounce on Monday to trade well below $1,400, adding to Friday's sharp sell-off, when the precious metal slumped 5%. It gained about 2% in early trade Tuesday. The gold contract is now in bear market territory, having fallen by nearly 30% from its record high in September 2011. Investors have been turning their backs on gold and pouring money into stocks funds instead, as equity markets in the United States have gone on a record-breaking run. While some may view this as a buying opportunity for gold, J.P. Morgan fund manager Neil Gregson said he was more interested in other natural resources. "We do think the opportunities are more in the general mining space and less so in gold," said Gregson, who manages a fund that invests in natural resources companies. 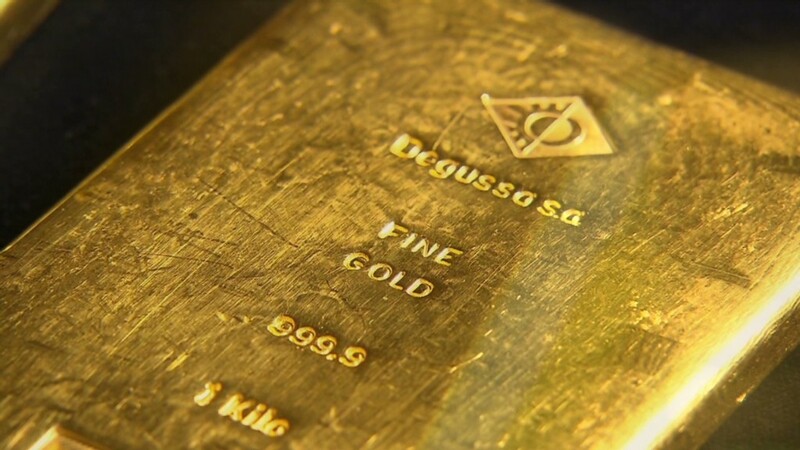 Reports last week that Cyprus may sell gold worth 400 million euros as part of an international rescue added to the gold rout, in part because of concerns that other European central banks with much bigger reserves may do the same. Last week, Goldman Sachs and Deutsche Bank cut their forecasts for the price of gold, citing improving prospects for the U.S. economy, which would reduce the need for further monetary stimulus.